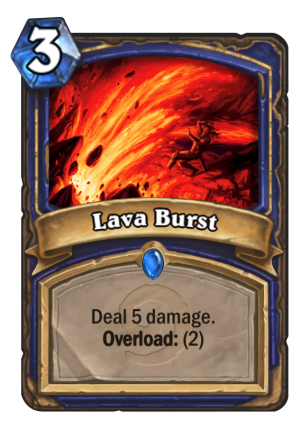 Lava Burst is a 3 Mana Cost Rare Shaman Spell card from the Classic set! It's like an ocean of liquid magma in your mouth! Rating: 3.7/5. From 98 votes.